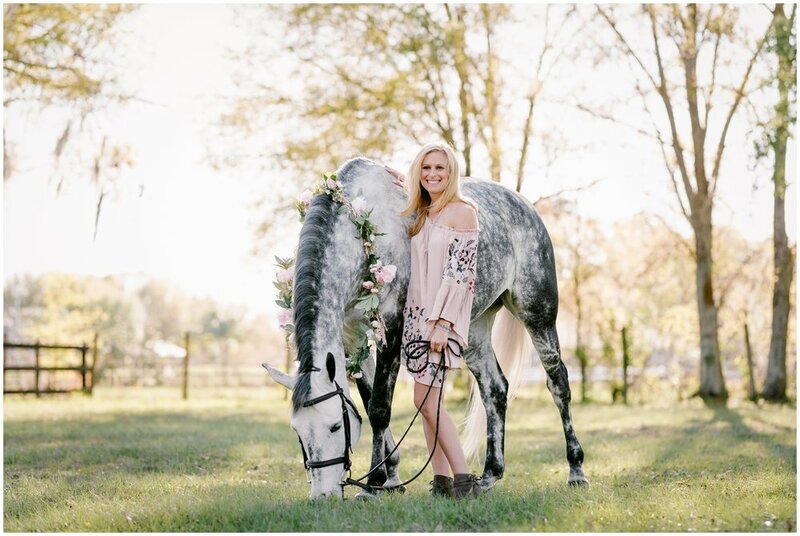 This was one of the most fun sessions of all time!! 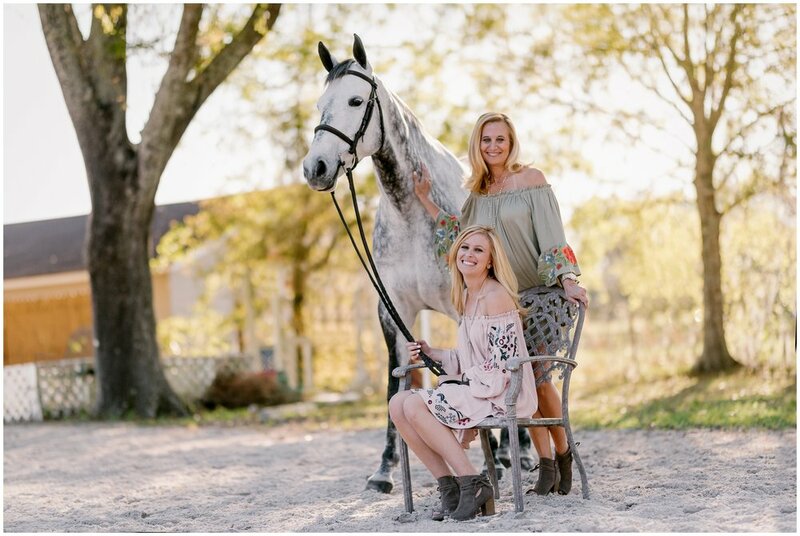 When Hannah's mom Laura contacted me about wanting to plan a photoshoot with her daughter that would end up being a surprise proposal I was absolutely on board! 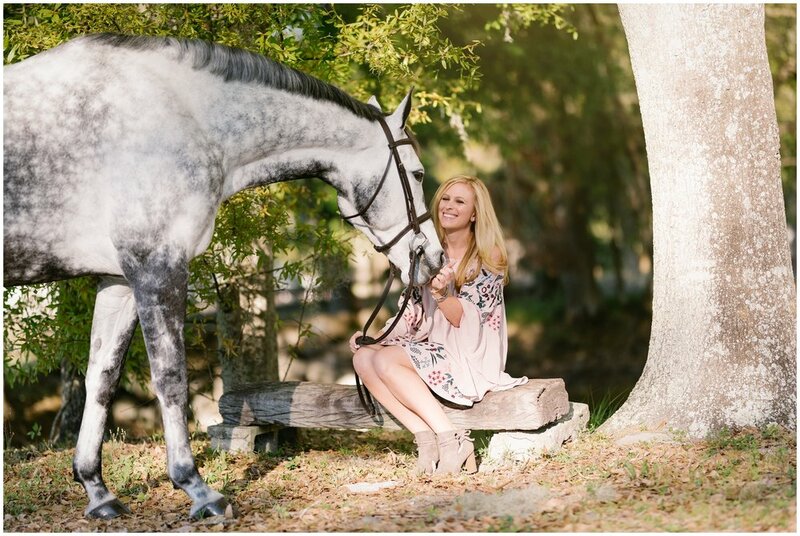 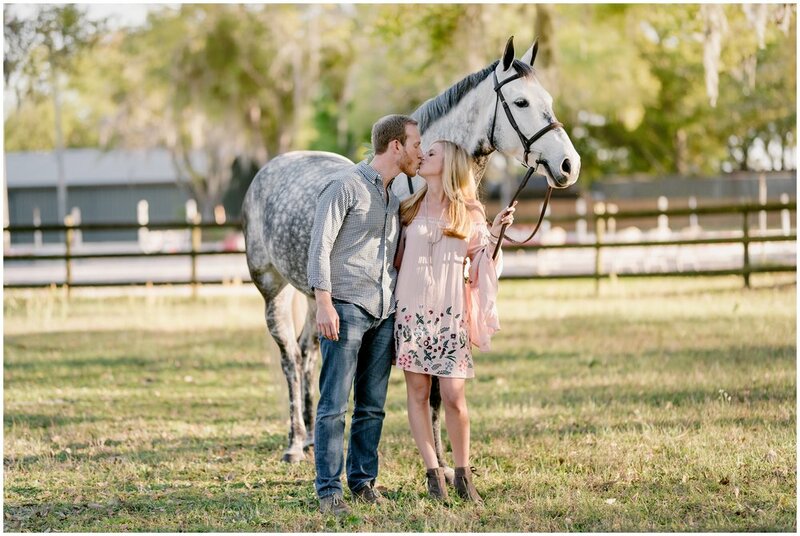 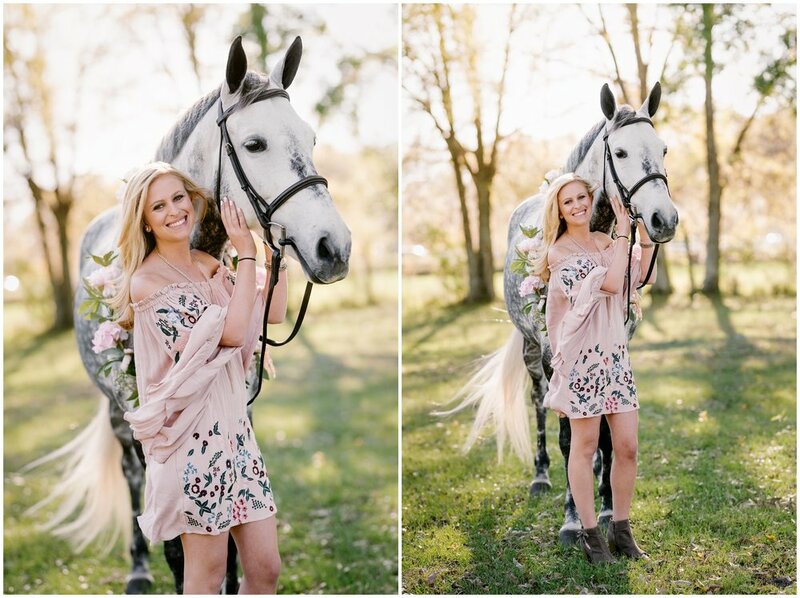 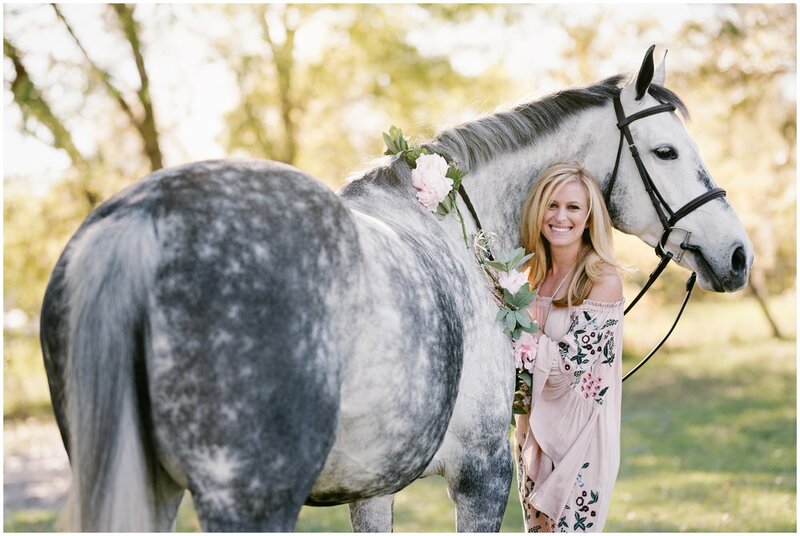 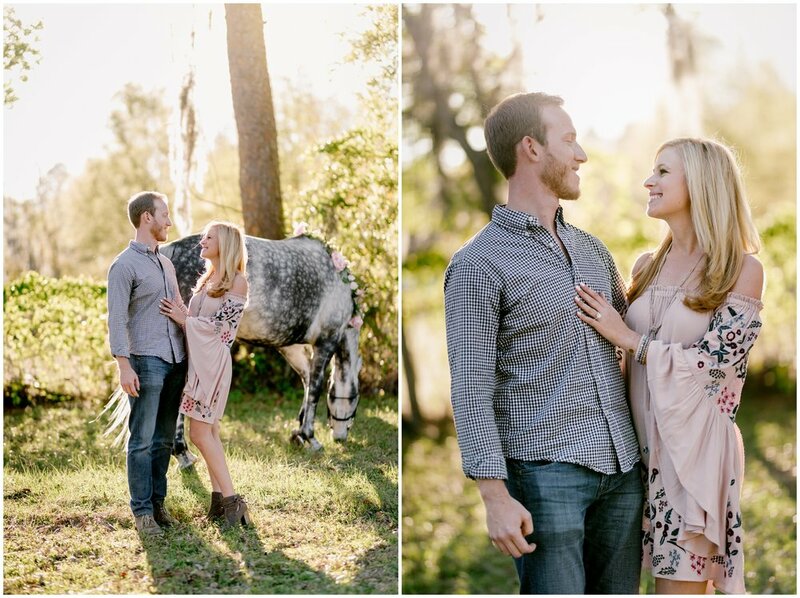 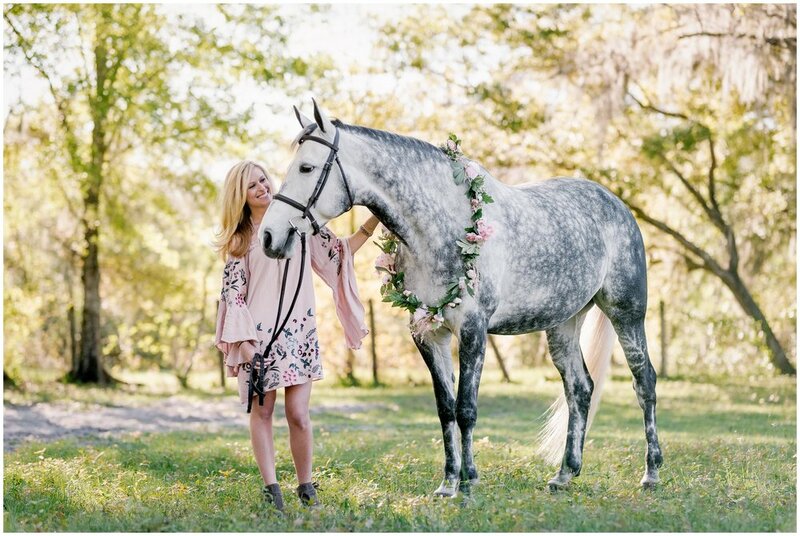 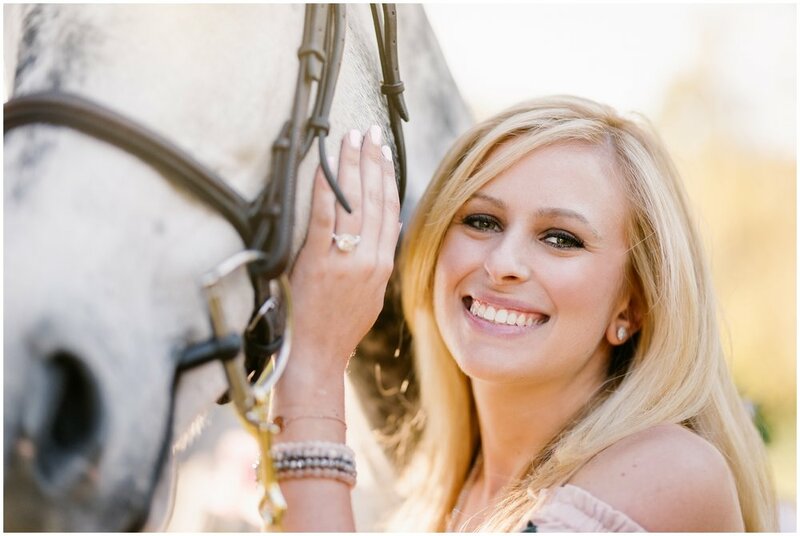 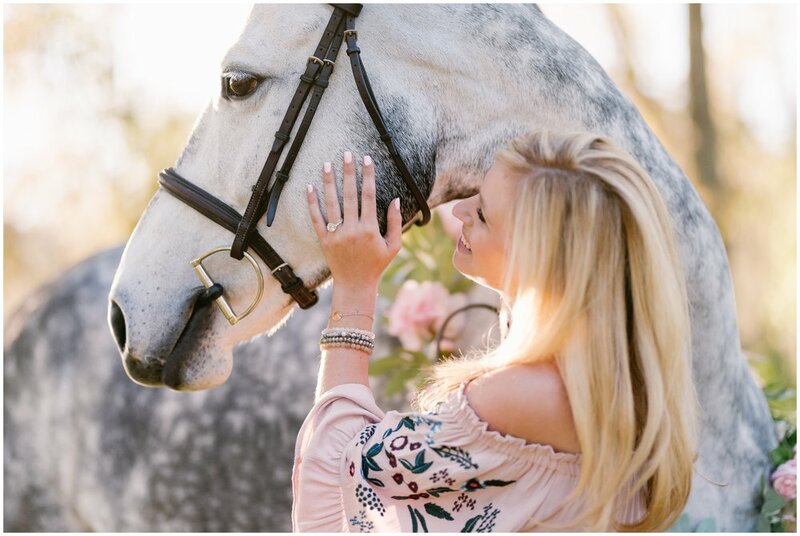 Hannah had no idea that the session with her new horse Sugar Magnolia (aka Febe) was all a set up from the beginning, and we started out the session at the stunning Kingsmeade Farm in Tampa, Florida. 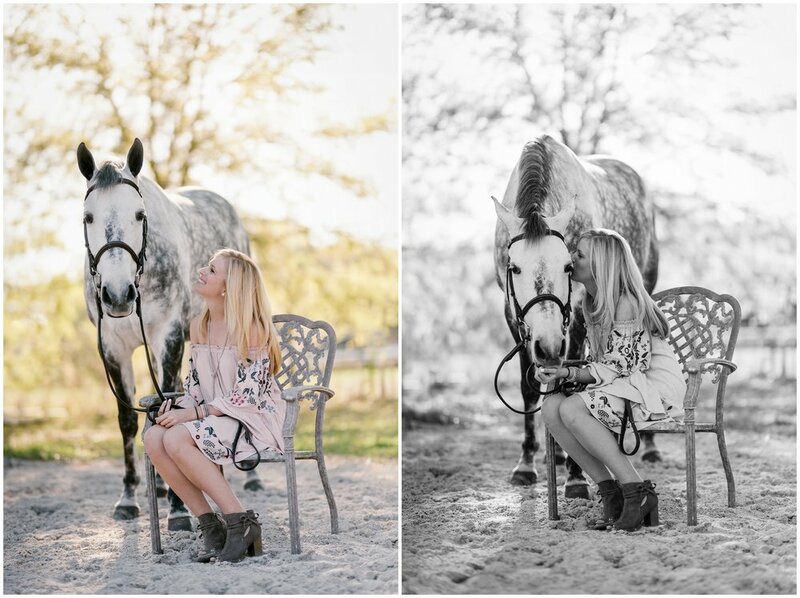 It was a lovely sunny evening at the farm, and Febe was super well behaved and was quite a good model! 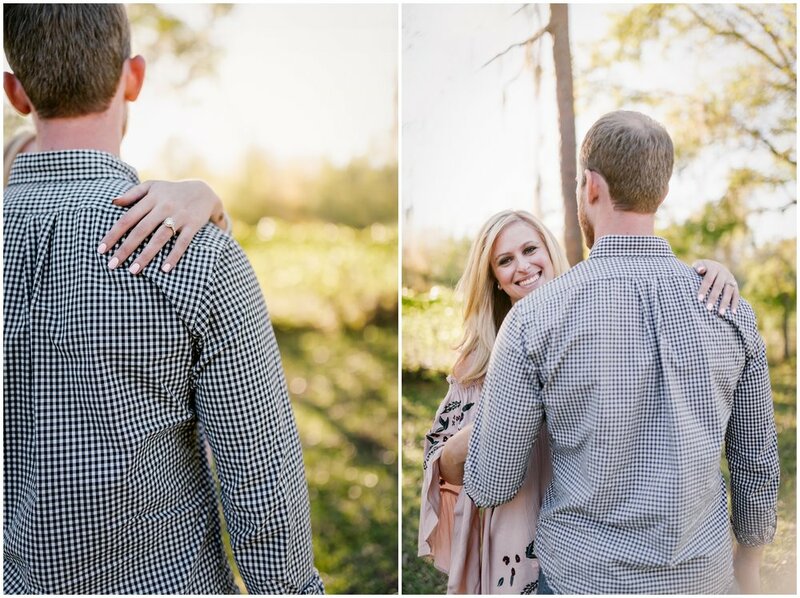 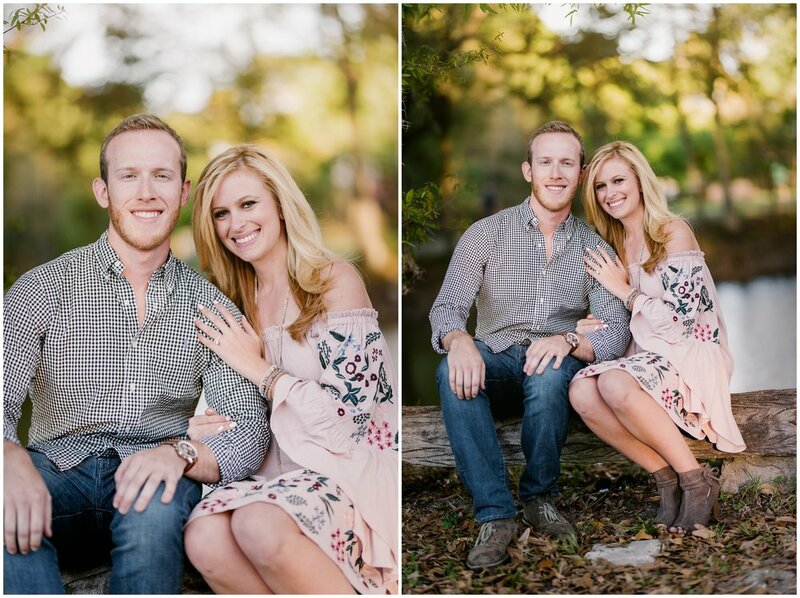 Half way through the shoot, Hannah's boyfriend showed up and surprised her by dropping down to one knee and proposing! 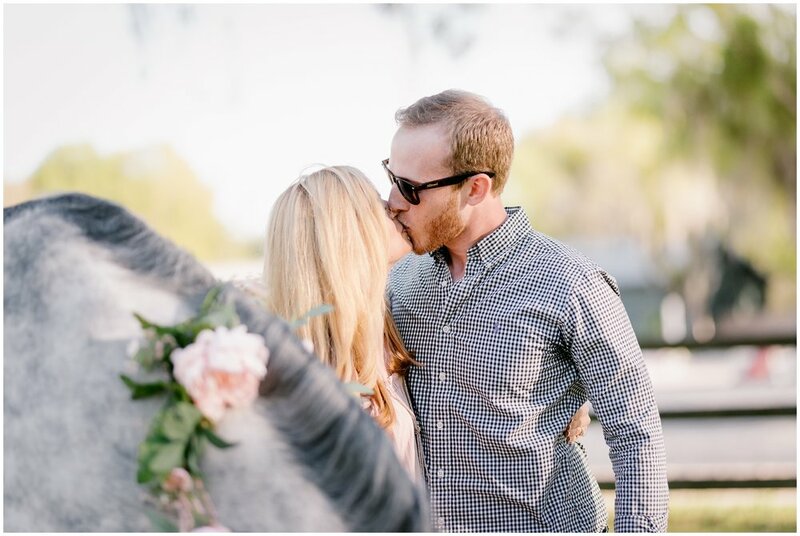 It was such a sweet moment and I was honored to be a part of it and to capture the moment for the two of them. 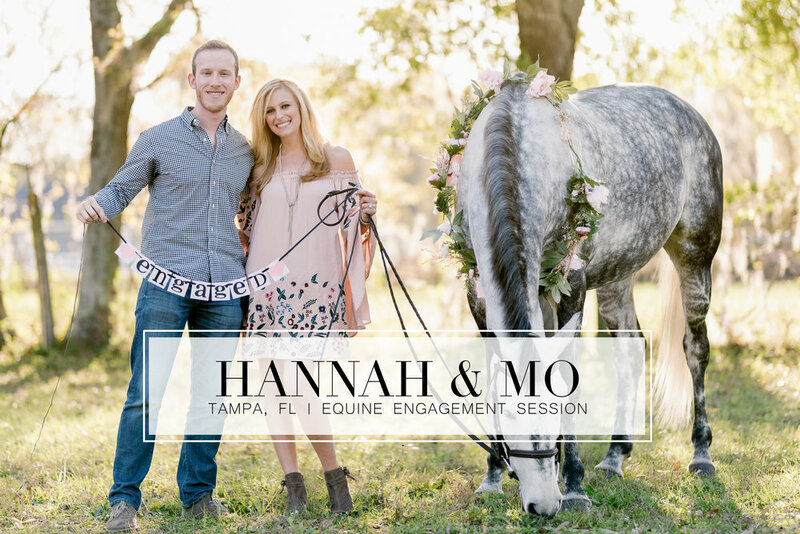 Best of luck Hannah and Mo to the next amazing step in the two of your lives! 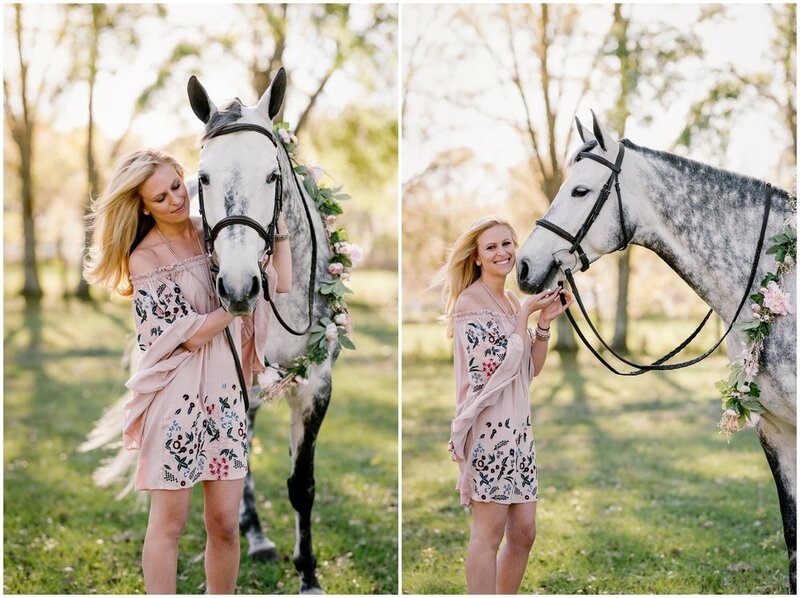 A huge thanks to Ashleigh Magnus of Magnus Photo for making a custom wreath for the shoot as well, it was a perfect addition!